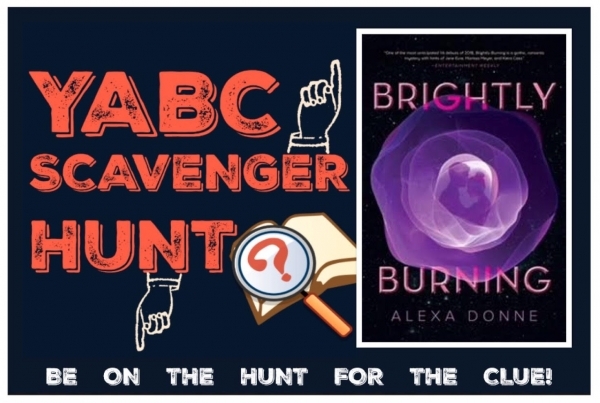 YABC Scavenger Hunt: Brightly Burning (Alexa Donne), Plus Guest Post & Extra Giveaway! Alexa Donne's Brightly Burning as part of the YABC Scavenger Hunt! Read on for more about Alexa and her novel! to win the Grand Prize! You can find Scavenger Hunt rules HERE !! 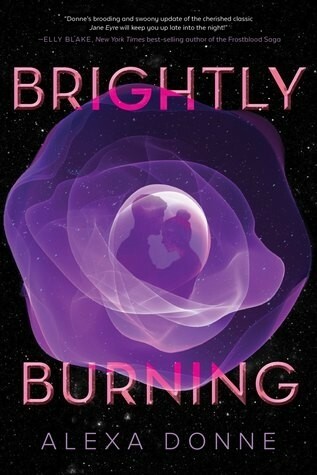 Brightly Burning takes place two hundred years after a natural disaster spawned a terrible ice age on Earth, and so the dregs of humanity must orbit the planet in spaceships, waiting for things to warm back up. This, of course, leaves plenty of time for reading! (This is the result when someone bookish imagines a post-apocalyptic scenario.) I’m fascinated by culture and what endures over time, and I can’t imagine a future without books. Here’s a peek at some of the bookish Easter eggs in Brightly Burning and why I chose them! “Have you read this one?” I asked, gently nudging a half-broken paperback from the shelf, turning it over in my hands, then showing it to him. The title was barely visible, but the cover image was striking. A mountain obscured by clouds, and a name that was familiar to me. Everest. Why I chose it: I adore long form narrative non-fiction, and especially morbid true stories, and Jon Krakauer is among the best at his craft. I was assigned Into Thin Air during college and it remains one of my favorite books. I’ve also read pretty much every other published account of the 1996 Everest disaster and watched all the documentaries and movie adaptations. Why I chose it: Hugo just strikes me as a Russian literature kind of guy, honestly, and I didn’t want to torture him with War & Peace, ha. I also watched the Joe Wright film adaptation more than once while drafting Brightly Burning. When I finished that book, I found another on the shelf, this one a tense drama about old world British and Russian spies. Why I chose it: I LOVE SPIES. Especially Cold War spies, and especially British & Russian spies! I’ve read a boatload of non-fiction accounts from the height of the period, and John le Carre is simply the master of the spy novel genre. I prefer THE SPY WHO CAME IN FROM THE COLD (which Stella reads later) to TINKER TAILOR but I felt that Stella should start with George Smiley and I mention her reading the whole series. I was far too keyed up to sleep, so I pulled out my reader, opened my wall-length window for the view, and settled down with Elizabeth Bennett and Fitzwilliam Darcy. Hours later and Darcy had written Elizabeth a love letter, but she was having none of it, and then Lydia went and made a mess of things. Why I chose it: Do I need to explain? Pride & Prejudice! Jane Austen! I gave Stella a Reader tab (future!Kindle) loaded with classics and of course I gave her all the Austens. It was a no brainer to have her read Pride & Prejudice, which is a cousin novel to Jane Eyre in terms of being beloved by readers. I wanted to dive back into Agatha Christie, but instead settled for and oldie but a goodie, relying on Harry Potter and whirlwind of the Tri-Wizard Tournament to engage and tire me. Harry had just taken a bath with the golden egg, and my eyes started to flutter as Snape confronted him on the stairs. Why I chose it: There is more than one reference in Brightly Burning to Harry Potter as a classic novel series, which was very much intentional and a deeply held belief for our future! Goblet of Fire is my personal favorite Harry Potter book, so I have Stella read it! “Stella!” he exclaimed as soon as I walked through the door. “My little sleuth. I have a book for you!” He bounded over to a bookshelf in the far corner of the room, extracting a hardbound volume and gleefully handing it over. “And Then There Were None by Agatha Christie,” I read off the cover. “She’s my mother’s favorite author,” he said. Why I chose it: I watched an excellent adaptation of AND THEN THERE WERE NONE while I was drafting (it’s so creepy & highly recommended! ), and then finally read the book--I cannot believe I hadn’t before! When I discovered an important character was name Hugo? It seemed kismet. And Christie is another one that I firmly believe will be considered a classic in the future--Doctor Who and I are in hearty agreement there! continue to the Official Entry Form!! Author Of The Week: Chat with Crystal Smith (Bloodleaf), Plus Giveaway! Author Of The Week: Chat with Robin LaFevers (Courting Darkness), Plus Giveaway! Another Jane Austen fan here! Also love haunted houses - so a haunted ship is just as good! Lovely cover, that purple really stands out against the black background. Another Jane Austen fan here! Also love haunted houses - so a haunted ship is just as good! Lovely cover, that purple really stands out against the black background. If you include Harry in your books then I already love you! As you said, CLASSIC! I love the way this story is in conversation with other works of literature as well as being an original novel in its own right, of course. I like the simple but pretty cover, too. The cover is unique. The synopsis is very intriguing. A Jane Eyre retelling set in space sounds cool. Can't wait for this one. 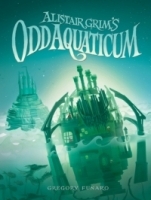 The cover is very original and I liked learning about the book! the cover is beautiful and the synopsis so interesting! The cover is stunning and the synopsis sounds exciting and suspenseful. This book caught my eye right away ? This sounds so interesting! The cover is very pretty. I can't wait to read this. The cover is amazing and the synopsis sounds great!